This year, the Purdue squad has been making the news with guard Carsen Edwards being crowned AP All-American. Make sure you know how to watch Purdue basketball before time runs out. The Big Ten Network is where it’s at for Purdue Boilermaker basketball. ESPN and ESPN2 will host the occasional game, but if you want to make sure you always have Purdue in your TV guide, then make sure you’re getting Big Ten Network. By now you probably know you want a streaming service to watch Purdue, but which one? We’ve outlined a few of our favorites, and hopefully one will be yours too. Hulu with Live TV is like the shotgun of streaming. It’s got a wide range but leaves gaps. This service is for the fan of the pre-game movie and the post-game series binge-watch. You can catch some of that during a 7-day free trial. Hulu Live comes at the cheapest price on this list at $39.99 a month. It offers everything a Purdue fan needs when it comes to channel coverage, plus you get premium on-demand content. So you’ll get your Big Ten Network, along with your Handmaid’s Tale, and Power. Hulu Live doesn’t have the flashiest perks, but it gets the job done because it’s got the fundamentals covered. 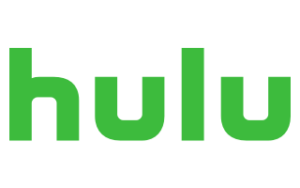 It has 59 channels available for each user and 591 local channel affiliates nationwide, so you’re more than likely going to have Hulu Live available in your area. Unfortunately, Hulu Live’s DVR leaves a lot to be desired when compared to other services on this list. You’ll get a teeny tiny 50 hours included in your package, but you’ll have to pay an extra $15 dollars if you want to upgrade to 200. Best stick to the basics because that’s where Hulu Live shines. If you’re looking to save time and get the most out of your TV, you’ll need a pretty hefty DVR. YouTube TV has cornered the market when it comes to video recording, so if you can get a hold of it make sure to check out it’s seven-day free trial. YouTube TV offers a lot for its $40 a month price tag, like a DVR with unlimited storage and premium channel selections like FS1 and Big Ten Network. Unlike Hulu Live, YouTube TV’s DVR doesn’t measure its storage by hours but instead by infinity. We’re kidding, of course. It’s more like almost-infinity, mainly because the content you save has an expiration date of nine months. That still makes it the best DVR on the market, though. YouTube TV may not have as much on-demand content as Hulu Live does, but it does have 20 more live channels available to watch. Coupled with its powerhouse of a DVR, you can craft your own guide for watching everything Purdue basketball on your own time. YouTube TV does have a dark side, like the fact that it’s just available in some areas of the US. It’s closing the gap on those areas quickly, though, so it’s only con might not be around for long. PlayStation Vue’s Core Package is what every sports fan needs to get NCAA basketball, NBA, and even NFL. So if you’re a fan of Purdue sports and a Pacers aficionado, then you’re destined for one another. PlayStation Vue is for fans who need more than just basketball and Gatorade to quench their sports thirst. That’s because PlayStation Vue has local sports channel add-ons that’ll let you watch NBA games ranging from Boston to Indianapolis to the Bay Area. Pretty sweet, right? PlayStation Vue has a great DVR system that rivals YouTube TV, destroying other services on this list (still looking at you Hulu). But PlayStation Vue suffers in the expiration department with its content only lasting 28 days from the day it was saved. Sadly, PlayStation Vue has the lowest local channel availability of any service on this list.  You’ll want to check PlayStation Vue’s website to see if your area can get service. The number-one team in the Big Ten is looking to add some trophies to its legacy. Check out this year’s offense because it’s looking to rock the boat nationwide.